When Charlotte the lamb loses her fleece she goes on a journey through South West Scotland to try and find it. 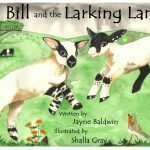 Written and illustrated by Shalla Gray, this charming story follows the journey of a little lamb called Charlotte who has lost her fleece. 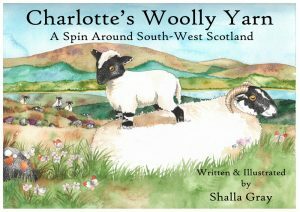 She travels through the beautiful countryside of south west Scotland seeing some amazing sights as she searches for her woolly coat. 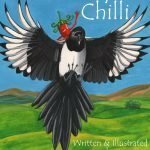 The lovely illustrations feature Dumfries, Drumlanrig Castle, Moffat, Wigtown, Cairn Ryan, Port Logan Botanic Gardens, the monastery at Samye Ling, Kirkcudbright, the sculptures of Henry Moore, New Abbey, the Grey Man of Merrick and Bruce’s Stone in the Galloway Forest Park. There’s a surprise ending, can you guess what it is? 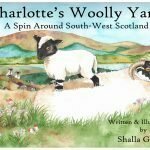 Be the first to review “Charlotte’s Woolly Yarn” Click here to cancel reply.